Uptown Charlotte will soon have a new bank tower, at the corner of Stonewall and Tryon. Ally Financial announced Wednesday that it will become the anchor tenant of the office tower project formerly known as Tryon Place — the massive mixed-use project being developed by Crescent Communities. 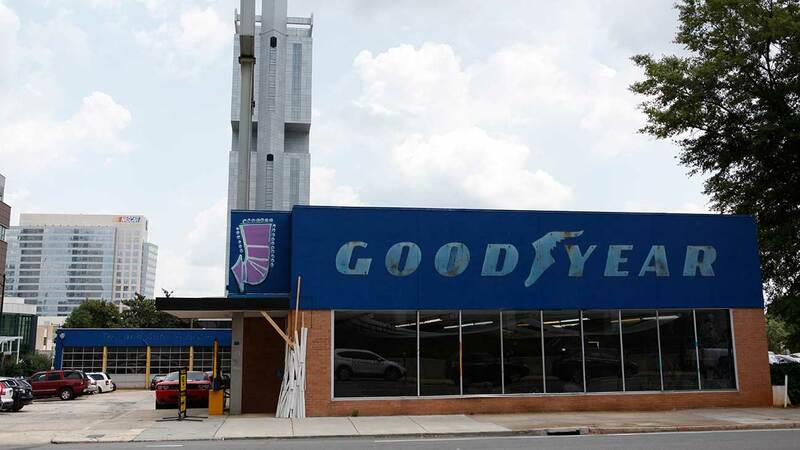 This is the property where the Goodyear building used to stand. Ally has 1,700 employees in Charlotte across Uptown, SouthPark and Ballantyne, and a major presence in local events and the community itself. This new office tower will bring them all under one roof. 742,000 square feet of office space. Ally is taking an initial occupancy of 400,000 square feet. 20,000 square feet of open plaza space. A hotel with at least 300 rooms. The brand has yet to be determined, but it is expected to be upscale and full-service, with a ballroom and generous meeting space. The project is expected to begin construction in early 2018, with completion in 2021. Let’s get into the nitty-gritty of why this is a big deal for Charlotte. With its location near Stonewall Station, the Ally building will add another office tower that will take full advantage of the light rail (and Crescent’s neighboring Whole Foods project). The investment also solidifies our position as a city in the financial world. 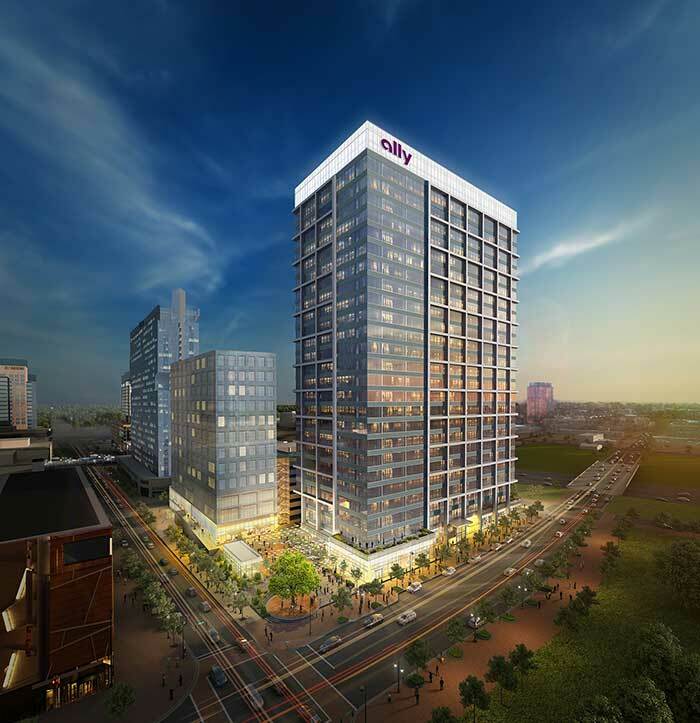 “We are excited for construction to begin on Ally Charlotte Center, and to be securing long-term real estate in this city that supports all of our local associates and can accommodate future growth plans,” Ally CEO Jeffrey Brown said in a statement. The project is also being designed to be attractive at the street level for pedestrians on one of Uptown’s most important corridors. There are so many giant lobbies that plague our office towers both past, present and future. With the Ally building, the lobby will be located in the middle of the building, taking up as little real estate as possible while giving that space back to ground floor retail. The plaza is going to be game-changing for the area and the city. 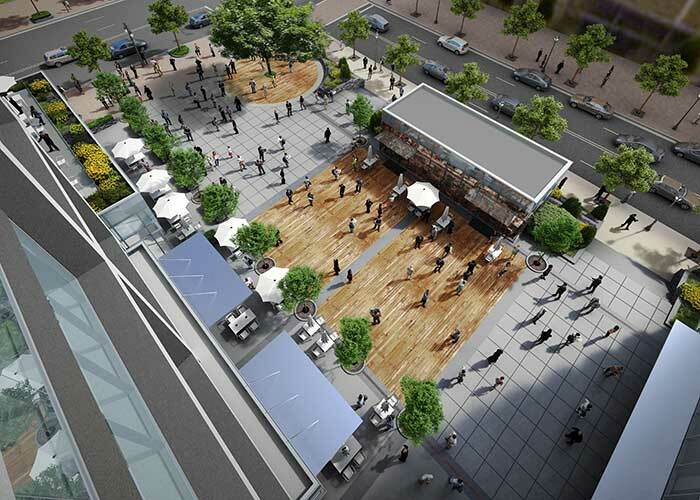 There will be plenty of space to sit, relax, eat, shop and enjoy the vibes of the city. Retail will line almost every inch of the ground floor of this project along Stonewall and Tryon (and even Hill Street on the back side). 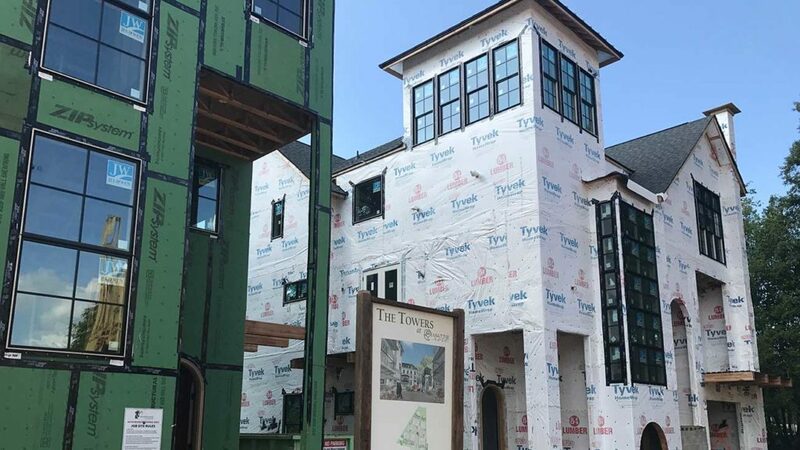 The pedestrian focus of the project is undeniable and it’s great to see a developer looking to take care about those walking by Ally Charlotte Center and those working in Ally Charlotte Center. At 378 feet, it certainly won’t be one of our tallest, but I think the new design gives some texture to the building while adding to the skyline. The glass heavy exterior is broken up by beams that run from top to bottom and open up the plaza below. Chase Monroe and Chris Schaaf with JLL represented Ally. Charley Leavitt and Barry Fabyan of JLL represented Crescent Communities.